As a long-time MMO player and self-confessed game-hopper, I have a fairly significant list of games which I use to enjoy but somehow lost my interest somewhere along the way. Now a few are tempting me back with the siren’s call of new content. 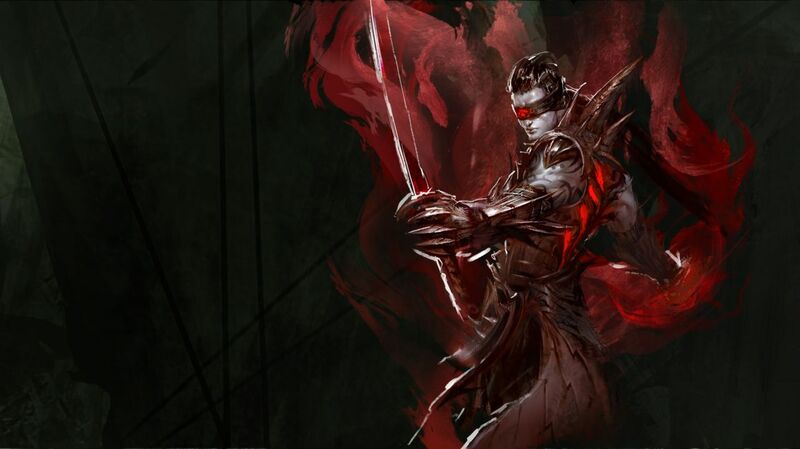 Today, we’ll be looking at Guild Wars 2 — a game I loved fiercely for a short time and then abandoned — and its recently announced (and long overdue) first expansion: Heart of Thorns. An expansion was about the only thing that could have rekindled my interest in GW2 after the Living Story only turned me off more, and while I’m not exactly bouncing with excitement, it has managed to perk my ears up. 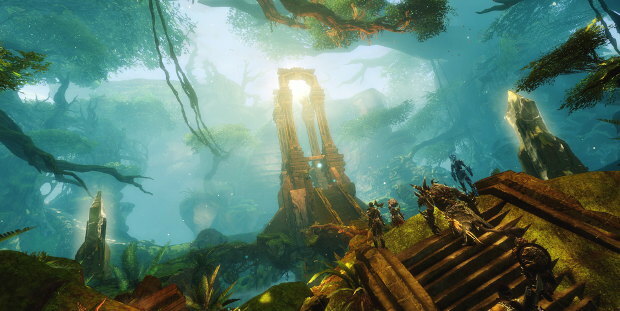 Heart of Thorns opens a large new area in the Maguuma Jungle, including multiple zones, and since exploration is the biggest joy of GW2, that’s welcome news. I’m not the biggest fan of jungle regions, but it’s better than nothing. They’ve gone far too long without adding significant landmass to the world of GW2. There’s also a healthy list of new features such as one would expect from a major expansion. A new class is always one of the best ways to get me interested, and GW2 has delivered on that front with the revenant. Details on the new class are currently a bit sketchy, but we do know the revenant is a plate-wearing class based upon calling on the powers of Tyria’s ancient heroes. The good news is that this seems to be a very original class concept. It bears some similarity to the death knight archetype, and others have compared it to the ritualist class from the first Guild Wars (of which I have no knowledge), but it seems to be very much its own beast. I always respect it when game developers break free from the standard character archetypes, and the revenant seems to do that. The downside is that it’s very hard to say whether it’s a class I will enjoy until we get more details on precisely how it will operate. It also occurs to me that I would have to delete a character or buy another character slot to give the revenant a try, and I’m not sure I want to do either of those things. I’ve had enough fun with GW2 that I don’t mind dropping some additional cash on it for an expansion, but that plus a character slot is a bit much. The most exciting thing for me is that there will also be new options for the existing classes. ArenaNet revealed a “specialization” system that will allow people to evolve their classes, opening new weapon and ability choices. The main example so far is that rangers will have the option to become druids, allowing them to equip staves and become plant-based spell casters. It was also revealed that mesmers will have be granted access to shields, engineers will get hammers, and necromancers will get greatswords. As with the revenant, details on this system are still sketchy. We don’t know how many specializations each class will have, or how they will acquire them, and we have no hints as to what new options will exist for the classes not mentioned above. I’m most eager to hear what the options for thieves will be. I’m hoping for greatswords or longbows myself, but rumour is they might get rifles, which would make a certain degree of sense. I’m also rather curious what they’ll give warriors, since they can already do almost anything. Maybe some sort of battle mage option? Though that might crossover with guardians and revenants too much. The other bit of good news is that the expansion will not feature a level cap increase or a gear reset. I think most would agree that ArenaNet hasn’t done the best job of sticking to their pre-launch promises (ascended gear comes to mind), but it’s nice to see they haven’t completely abandoned their principles. I, for one, am very glad I won’t have to grind out a whole new set of gear. With my being on the fence about GW2, that could have been a deal-breaker for me. Instead, there will be new options for horizontal progression. The main focus seems to be on something they’re calling masteries, which are account-wide and seem to focus on non-combat skills, such as hang-gliding. Once again, more details are needed before I make up my mind, but at face value, this seems like good news. The other big feature for the expansion is guild halls, but since I have no guild and no plans to get one, that’s pretty irrelevant to me. ArenaNet has confirmed there are no plans for personal player housing, which is pretty disappointing. I’m not a huge player housing fan, but I think it’d be a very good fit for Guild Wars 2. There was also a bunch of stuff about PvP — new modes and the like — but I just went cross-eyed when those came up. PvP just isn’t my thing, and I don’t see that changing anytime soon. Finally, there was mention of some epic question chains to get legendary precursor weapons — which is a little strange considering ArenaNet is allergic to questing, but again, we’ll have to see how it shakes out. I never much cared about the legendary grind, but if this is fun way to get some nice gear, it could be interesting. There’s a lot of good stuff in the Heart of Thorns announcement — almost everything you could want in a Guild Wars 2 expansion, really. The bad news is that most of my problems with GW2 are fairly fundamental, and the expansion isn’t likely to address any of them. The biggest problem remains the fact that GW2 has a very thin story, and what story there is worse than most fan fiction I’ve read. I need to care about a fictional world if I’m going to spend a lot of time there, and ArenaNet has consistently proven they can’t make me care about Tyria. After missing two seasons of Living Story, I’m bound to be totally lost, so things on that front are likely to get worse, not better. And there are still other minor annoyances like events being a little too repetitive and contested waypoints making me want to punch kittens. As others around the Interwebz have pointed out, GW2 is a game that lacks “stickiness.” There’s not a lot about it that compels one to stick around for the long haul. I feel like if I had some friends who played I might keep at it just to adventure with them, but I don’t, and without a story hook, I tend to flounder after a while. The downside of an open-ended game is that it doesn’t give you a lot of clear goals to shoot for. With that said, though, I would currently rate my chances of returning to Guild Wars 2 for Heart of Thorns to be reasonably good. I don’t expect to stick around for more than a few weeks, but I think there’s enough cool stuff here to keep me entertained for a little while, at least. There are still many things about GW2 I like. It retains a wonderful feeling of freedom and adventure, the core gameplay is solid, and aesthetically, it’s one of the best games on the market, combining high quality graphics with a beautiful and vibrant art style. It will somewhat depend on my financial status at the time of release and whether I’m particularly engrossed in any other games, and I’ll wait to see how the new features shake out. 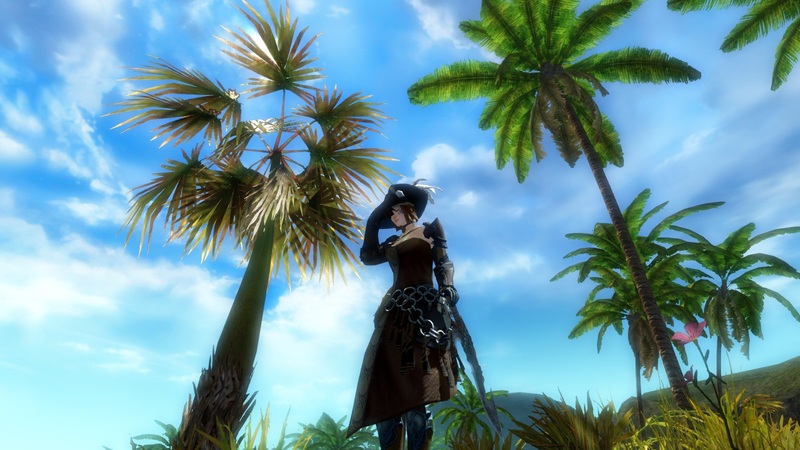 But right now my old fondness for GW2 has been awoken enough that I feel a return to Tyria may be in order. 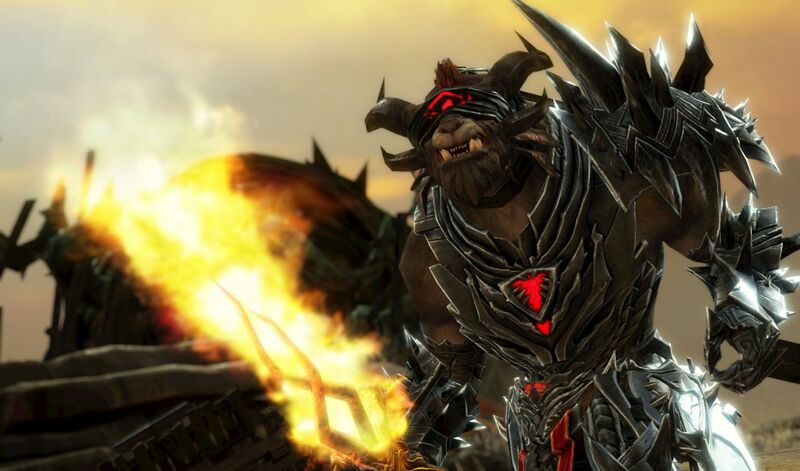 This entry was posted in Games and tagged fantasy, Guild Wars 2 by Tyler F.M. Edwards. Bookmark the permalink. Hey man, I had the same feelings about the game you do, apperently! I also started playing again because of this announcement (I played the first 3 months, and then quit, ’till now) and I gotta tell you: it’s improved a lot. Just know that you’ll first have to dig for it a little bit, get that “is this all there is”-feeling out of your system, so to speak, haha. That’s about how long I played, too, give or take a few weeks. I did make a short return at the end of the first season of “Living Story” to pay my respects to Lion’s Arch, but I can’t say I was impressed by the changes. If anything they seemed to have exaserbated the game’s issues. I don’t have a lot on my gaming plate at the moment, so perhaps I could give it another try, but I’ll probably wait until the expansion launches.